No matter your age, THIS IS THE COOLEST BOOK. The States talk, they dance, sing, fall in love, and they are all friends (for the most part). 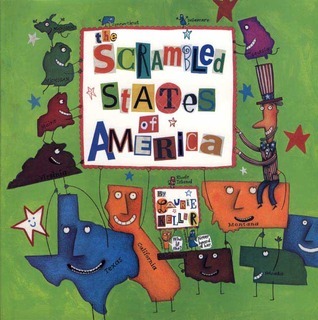 Here's the book that helped me learn all the states and their locations. People do find it strange, however, that I still say Florida has a beard, California is lactose intolerant, and Mississippi and Nevada are in love. 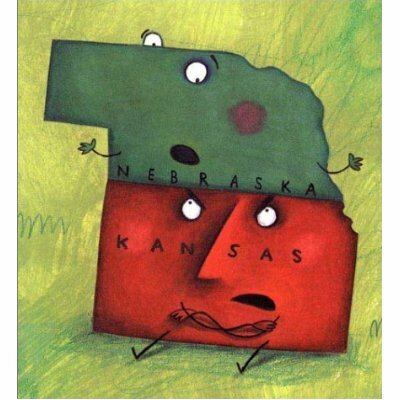 My favorite state is Nebraska, the very kind state. Keller uses the states to creates a romp-hilarious story that the grass ins't always greener on the other side.